Below find all the casting calls and roles posted on this site by casting directors/producers, that are currently accepting submissions from Orlando area actors/models/talent. 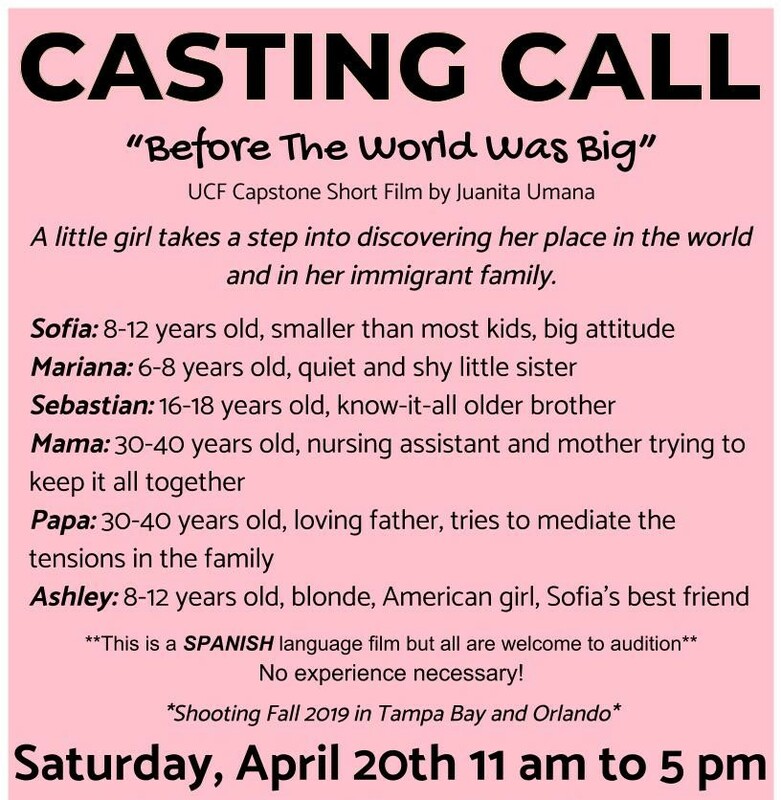 PLEASE NOTE: All casting calls and audition notices posted on Casting Calls Orlando have been posted directly by the casting director/producer of the project and role(s) being cast. Profile submissions through this site go instantly to the casting director/producers submission management dashboard for their review. Currently casting for Female Hitchhiker for an upcoming short comedy film. This will be a half-day shoot (or less) in Central FL. Film is 'PG funny' and will be promoted online, to festivals, etc. NO PAY - Credit, Meals, and Copy provided. This is going to be my second offical single. I am looking for two male actors/dancers from the age of 18-22 to be in the music video with me. The music video will be released in June (most likely). I am paying up to $200 for the people that get in the project. The music video is silly and fun. It’s about a throwback to 90s, 80s, and 70s. We’ll be like friends hanging out in the music video and going back in time. The Shaw Files Short Film Series will feature different story lines from my Steel City series. 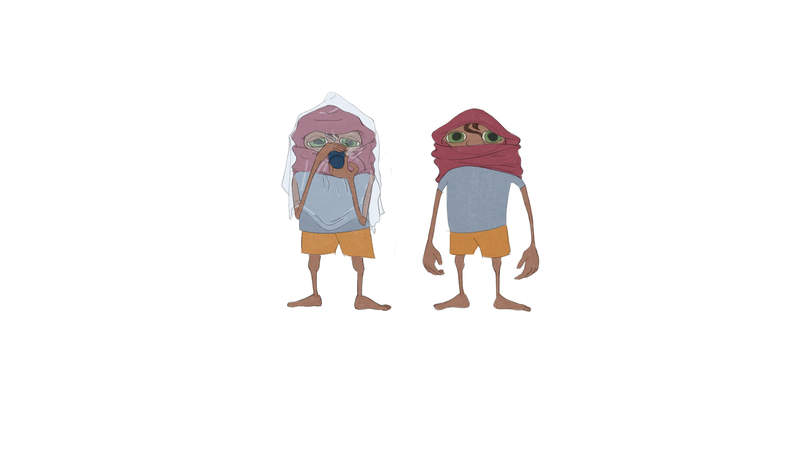 The shorts will be distributed through different distribution platforms, film festivals, and more. Shaw Files is a psych drama that will shot in 2 parts. Interrogation type scene and reenactment scenes. Lee Shaw will interview different inmates while putting himself in his discussions. A little girls takes a step into discovering her place in the world and in her immigrant family. This is a short film for a senior thesis at the University of Central Florida's film school. The film is independently produced by students at the university. The film is a family drama centered around a little girl and her daily life. A moment captured. The competition, psychology, emotions, and camaraderie played out during a race. Quenton Cassidy reminisces about a past life. And the race that made him. Project: NON SCRIPTED - NETFLIX'S "THE CIRCLE"
Contestants live in separate apartments in a single building and do not meet face-to-face during the competition. They communicate through a special voice-activated social media platform called The Circle and rank each other frequently. Unpopular players are “blocked” and ultimately the most popular player wins a big cash prize. Since they only know each other through their online dialogue and profiles, players can choose whether to present a true or fictional version of themselves. It’s a game exploring questions of honesty and trust when people can’t see each other in the flesh. 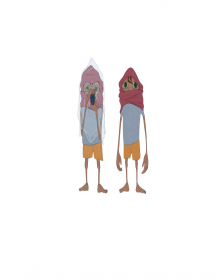 An animated short-film created by a student at Lesley University about collateral victims in a war-torn land. Will be screened at the Brattle Theater in May. The story follows two children, a girl (Asima, aged 11) and her brother (Hanan, aged 8) living in Syria, where air strikes are a possibility everyday. The film opens with the kids making something out of a seemingly random assortment of materials. As they complete their project, a bomb falls out of the sky and the objects they have been making turn out to be make-shift gas masks. Using the gas masks they made, the kids struggle and limp their way out of their village. Their survival is left ambiguous.